Restaurant Review - YL - Miller and Carter Steakhouse, Union Street, Aberdeen. Picture by COLIN RENNIE June 1, 2018. A woman has died after apparently choking on food at a restaurant in the centre of Aberdeen. The woman, in her late 40s, had been dining out in the recently opened Miller and Carter steakhouse last Saturday night when it’s reported she began struggling to swallow her meal. An ambulance was rushed to the restaurant, on the junction between Broad Street and Union Street, and paramedics took the woman to Aberdeen Royal Infirmary for treatment shortly after 7pm. Police also attended to lend whatever assistance they could. However, it has now emerged that the woman did not recover and died in the hospital on Wednesday night. A police spokeswoman said: “We were called, along with the ambulance service, in relation to concerns for a woman who was unwell. “Police assisted paramedics at the scene and officers did what they could and she was taken in an ambulance to Aberdeen Royal Infirmary. An ambulance service spokesman added: “We dispatched one ambulance, a paramedic response unit and a Wildcat responder to the scene. The manager of the Aberdeen restaurant declined to comment last night. The Scotsman newspaper has reported that the woman was local to the north-east. 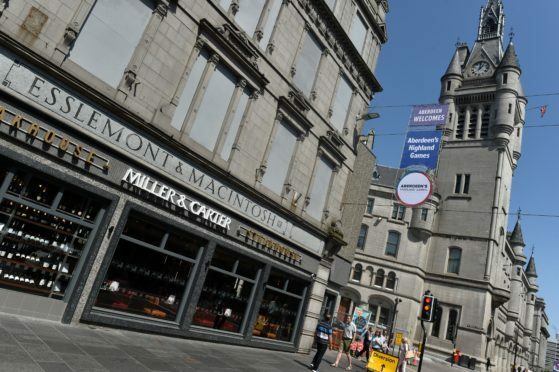 The Miller and Carter chain operates 88 restaurants across the UK and opened its Aberdeen venue in what had been the Esslemont and Macintosh department store earlier this year. The lot had lain vacant for years following the closure of the popular shop when owners Owen Owen went administration 10 years ago.